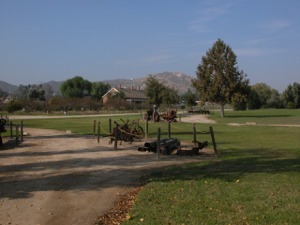 click photo to enlarge The Jensen Alvarez Historic Park is only open on weekends from 10-4 in Riverside. 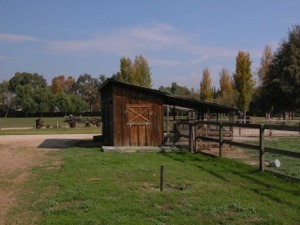 The ranch was completely restored to portray rural life. 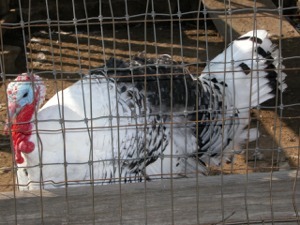 There are cattle, sheep, chickens, rabbits, a duck pond and goats. 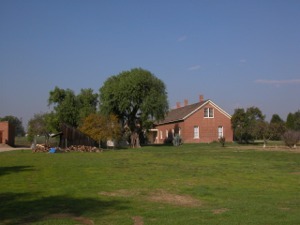 click photo to enlarge In 1870, the first non-adobe ranch house in Riverside County was completed on 400 acres by Cornelius Jensen, a cattle and sheep rancher. 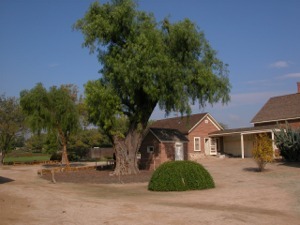 The current 30-acre site includes the former winery, which is now a museum that showcases family artifacts. click photo to enlarge Hmmm dinner anyone? click photo to enlarge There are citrus groves, peach, apricot and plum orchards, and a grape vineyard. I am told you can observe plowing with horses and general farm life by those dressed in period clothing. click photo to enlarge The day we were there not much was going on so we just wandered around.